After years of original research, Alan Sumrall has breathed life into the "Battle Flags of Texans in the Confederacy." His devotion and talent has produced the most comprehensive reference work to date on this important subject. Sumrall's beautifully illustrated volume covers more than fifty Texas regimental colors from Hood's famous Texas Brigade in Lee's Army of Northern Virginia to lesser-known units in the Tennessee and trans-Mississippi theaters. Also included are unidentified colors of regiments, companies and irregulars who were transferred from theater to theater during the war or absorbed into other regiments. Amateur and scholarly historians alike will discover a fascinating collection of battle flags in Sumrall's book. These vary considerably from the stereotyped Confederate battle flag which has received so much recent publicity. 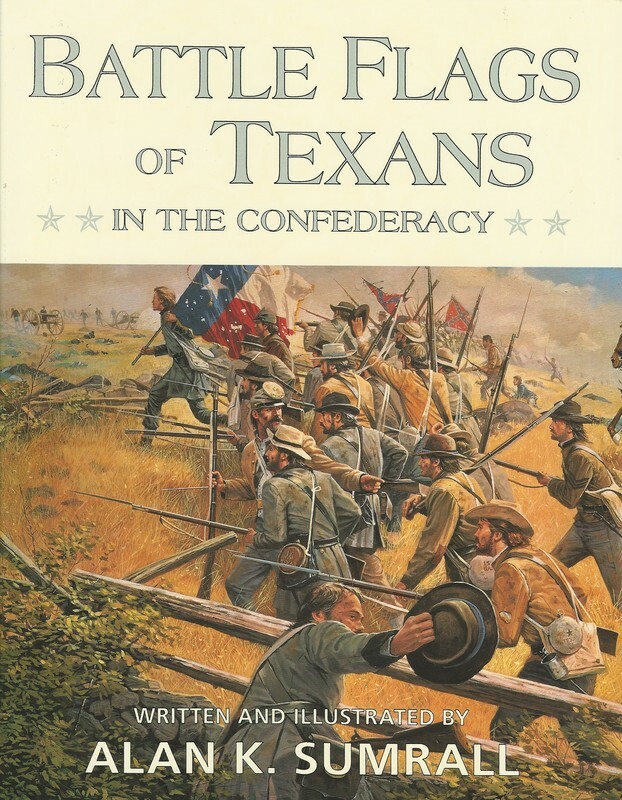 The author provides unusual variations, including the "Tyler Guards" prewar flag as the Third Texas Volunteer Cavalry; the "Beauregard Battleflag" of Parson's Dragons, the Twelfth Texas Cavalry Regiment; the blue "Harde's" battle flags of the 17th and 18th Texas Dismounted Cavalry of Cleburne's division, in addition to numerous other and more obscure designs. Each flag is accompanied by detailed historical and reference information specifying exact sizes, dimensions, colors and fabrics of the period. For the historian, researcher, teacher, library and Texas Civil War buff, this book is a real treasure.